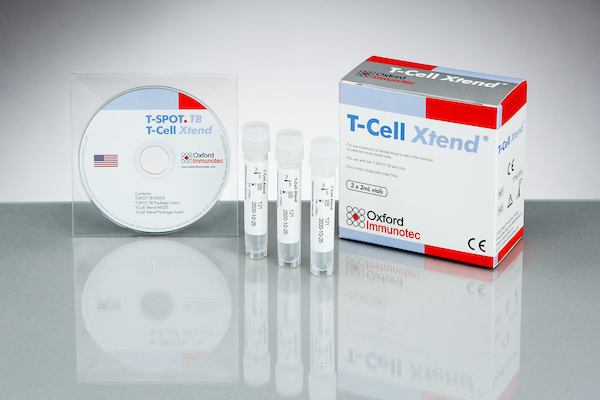 The T-Cell Xtend reagent is an antibody complex that is added to blood samples in the laboratory immediately before running the T-SPOT®.TB test. The product was licensed throughout Europe in 2008 and gained FDA premarket approval in August 2010. The T-Cell Xtend reagent allows blood samples to be processed up to 32 hours after venepuncture without affecting the accuracy of the test.